This bottle is being moved to our Miami, Florida warehouse. Leave your email address and we will notify you as it becomes available, and send you a 5% discount code for your next purchase. 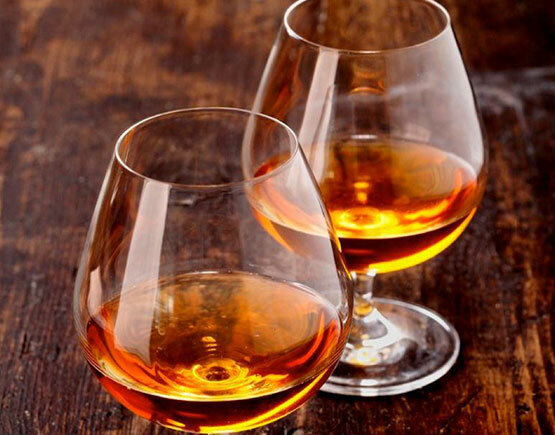 Renowned throughout the world, the production of Cognac has been regulated by its very own AOC since 1909. 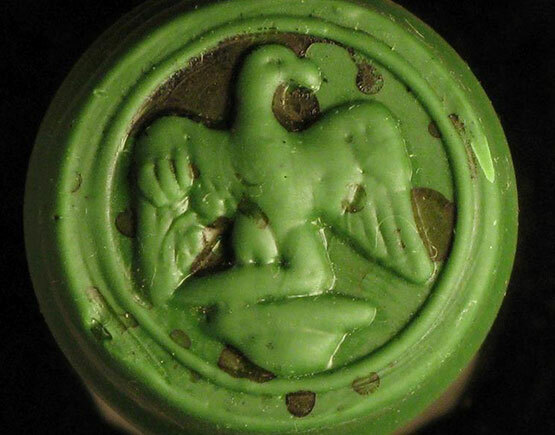 Only liqueurs from eaux-de-vie made from crus from the controlled appellation area of Cognac can be labelled as such. This liqueur must be distilled and aged on-site in compliance with authorised techniques: double distillation in a copper Charentais still, ageing in oak barrels for a set minimum ageing period. A good Cognac is subjected to a complex manufacturing process. It is never made from the eau-de-vie of a single cru, but from a `marriage' of eaux-de-vie that vary in age and cru - some as old as a hundred. 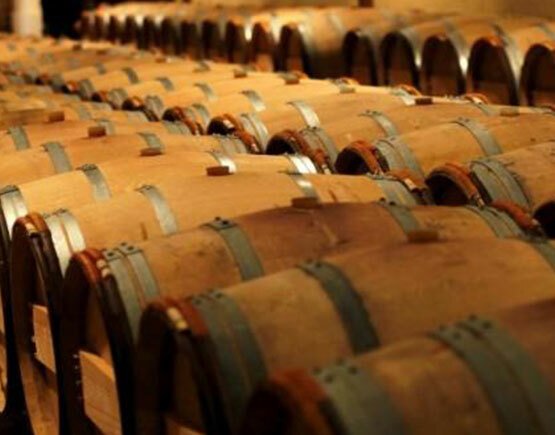 To establish the age of a Cognac, only the number of years spent in oak casks or barrels are taken into account. As soon as an eau-de-vie is decanted into a glass recipient, it ceases to age. The longer it is left to age, the more a Cognac gains in complexity, fragrance, aromas and taste (spiced, pepper and cinnamon flavours). 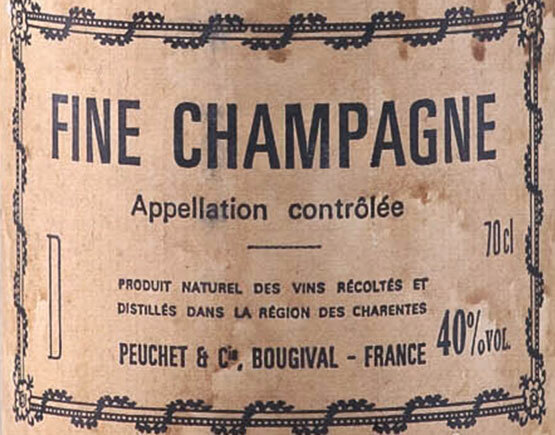 Please note that only Cognacs made exclusively from Petite and Grande Champagne (50% minimum) can use the "Fine Champagne" appellation. Founded in 1885, at the beginning of the Third Republic, Peuchet and Cie participate in this era of true prosperity of the arts of the table. It is an immediately spiritual experience, the attraction to the still with mysterious and alchemical vapors surrounded eaux de vie. Attended with quality and authenticity, it is an excellent choice without any delay: This is one of the fundamental bases of the trade. Over the years, the Armagnacs of Maupas, the Frêche, Perquié, the Grand and Petites Champagnes of all the possible ages and terroirs, the fragile raspberries, the sturdy Eau de Vie, have piled up. All are referenced to make the most subtle assemblies. Valuable records already reveal their questioning concern about the use of casks that originally have contained the Oloroso of faraway Andalusia. Today, the current years also points an attractive revival of alcoholic productions, accumulating the fascination of the concept of vintage. Technicity and modernity have emerged, sharpening the spirit of discovery, and renewing the art of good drinking. The amateur, became the attentive critic, a connoisseur of good cognac. Still facing our rationalist civilization; the oak barrel continues to impose its mystery, alone capable of infusing to an ardent Bas-Armagnac Aygua, moderation, subtlety, civility. Search, discover, select with increased accuracy. Raise, monitor, always improve. Remember that the part of the Angels that blackens the cellars will leave behind a work of art: hard science, subjected to the judgment of enlightened amateurs and harsh judges. The superiority of cognac on all Eau de Vie of the wine is due to its terroir. 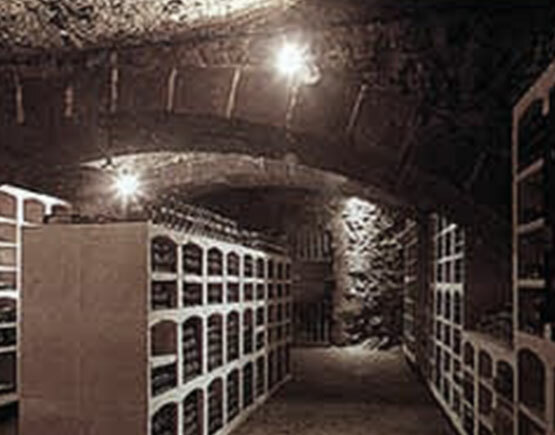 The Grand Champagne, of Campagnien limestone, gives an excellent, subtle, long and slow Eau de Vie to be made. The Eau de Vie of the Petites Champagne, with Campagnien limestone mixed with Santonian, more tender, are more floral than fruity, very fine, and resulting to faster aging. The borderies, with Santonian Limestone, give a round and typical violet Eau de Vie, ideal for the vine. Coating the first three wines finally, the beautiful wood, with the supply of rapidly ripe waters of life, provide the traditional cognacs. You are always the first to know about the latest fine and rare vintage cognac, whisky, armagnac, port, madeira & liqueurs we have added to our website. Orders involving the sale of alcohol will be fulfilled by a licensed importer/wholesaler and trusted retailers.